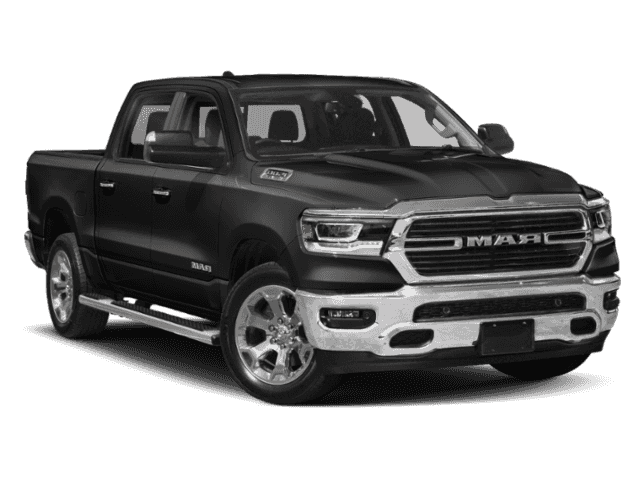 Boasts 21 Highway MPG and 15 City MPG! 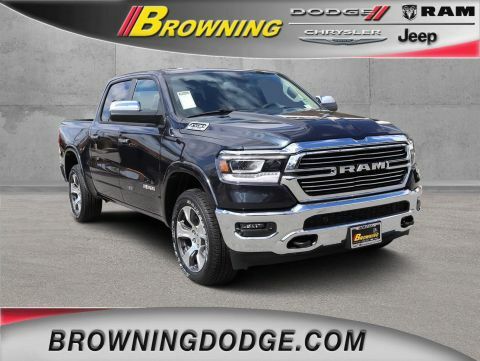 This Ram 1500 delivers a Regular Unleaded V-8 5.7 L/345 engine powering this Automatic transmission. WHEELS: 22 X 9 POLISHED PAINTED -inc: Tires: 285/45R22XL BSW All Season, TRANSMISSION: 8-SPEED AUTOMATIC (8HP75), TRAILER TOW GROUP -inc: Trailer Brake Control, Power Chrome Trailer Tow Mirrors, Trailer Tow Mirrors. 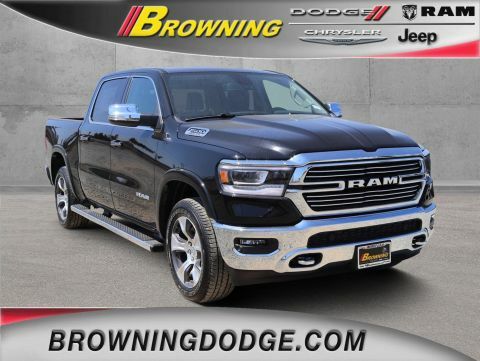 * This Ram 1500 Features the Following Options *SPORT APPEARANCE PACKAGE -inc: Body Color Door Handles, Tires: 275/55R20 OWL All Season, Grille B/Color Outline 3 Texture 4, Wheels: 20 x 9 Premium Painted w/Inserts, Sport Performance Hood, Body Color Rear Bumper w/Step Pads, Black Interior Accents, Body Color Front Bumper, Power Heated Fold-Away Mirrors, QUICK ORDER PACKAGE 25H LARAMIE -inc: Engine: 5.7L V8 HEMI MDS VVT, Transmission: 8-Speed Automatic (8HP75) , TRAILER BRAKE CONTROL, TIRES: 285/45R22XL BSW ALL SEASON, SINGLE DISC REMOTE CD PLAYER, REAR WHEELHOUSE LINERS, REAR UNDERSEAT COMPARTMENT STORAGE, RADIO: UCONNECT 12 W/NAVIGATION -inc: SiriusXM Travel Link, USB Host Flip, 5-Year SiriusXM Travel Link Service, Disassociated Touchscreen Display, 5-Year SiriusXM Traffic Service, 1-YR SiriusXM Guardian Trial, HD Radio, SiriusXM Traffic Plus, For Details, Visit DriveUconnect.com, 12 Touchscreen Display, GPS Navigation, No Satellite Coverage w/HI/AK/PR/VI/GU, SiriusXM w/360L, POWER RUNNING BOARDS, MONOTONE PAINT. 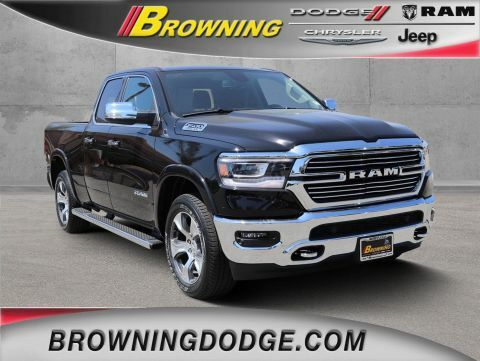 * Visit Us Today *Come in for a quick visit at Browning Dodge Chrysler Jeep, 1983 Hamner Ave, Norco, CA 92860 to claim your Ram 1500!